Best Organic Face Wash For Acne: 5 Products to Banish Your Blemishes! One of the most common culprits is sodium lauryl sulfate (SLS). This ingredient is added to give products that foaming action that you may think you need for that squeaky clean feel. The problem is that it's far harsher at cleaning than is desirable. It removes your skin’s natural, protective oil which triggers your body to create more oil. The result is too much oil and a propensity for acne. Other foaming chemicals include DEA, MEA, and TEA which can cause allergic reactions. They can also react with other ingredients to form a very potent carcinogen called NDEA. On the subject of oils, many products contain petroleum and mineral oil-derived ingredients. They are cheap and don’t go bad, making them a great option for manufacturers. The problem is that these types can easily clog your pores and result in added acne breakouts. Look instead for natural plant oils. Another problem ingredient is parabens. You’ll see these on the ingredient list under many different names – butylparaben, propylparaben, methylparaben, and ethylparaben. These petroleum derived ingredients are included for their preservative abilities. That’s great for shelf life, but studies are showing they act as estrogenic endocrine disrupters. What’s that mean in plain English? It means that nearly every system in your body is disrupted and put at risk. The bottom line is that if you truly want to get your acne under control and avoid dangerous ingredients look for the best organic cleanser for acne prone skin. I’ve done some of the hard work for you and included five that I feel are the best organic acne face wash products to use. All include natural ingredients that will soothe your skin, rather than irritate it more. While it is important to find the best all natural face wash for acne, you likely have other areas of your body where you may have some skin issues. This product is ideal for acne, but also eczema, dry skin, dermatitis, psoriasis, and more. You can use it on your face as well as the rest of your body. They also have a 16-ounce soap block if you prefer that over a liquid. 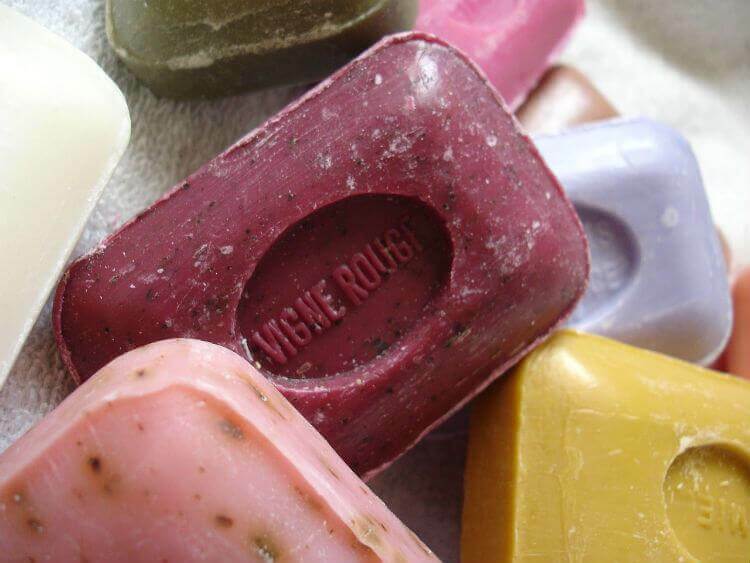 They tout this as the purest, vitamin and mineral-rich, organic type of soap you can find. It contains plant-based oils including organic palm oil, organic cocoa butter, organic palm kernel oil, and more. Use it every day and you will notice a balanced, healthier face and body. You can feel good about using this product due to its Fair Trade ethics. This is a marvelous product if you are looking for both natural cleansing powers and ingredients that will nourish your skin. Because it was formulated for oily and combo skin, it makes for the best organic face wash for acne prone skin. Fruit extracts such as cranberry and acai provide intense nourishment and antioxidants. 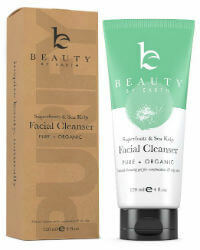 The healthy earth-derived 100% natural and organic ingredients gently cleanse. Reviewers report that they noticed an improvement in their skin early on. They also love the scent. Those with sensitive skin found it nonirritating. Christina Moss Naturals facial wash is a handcrafted formula that is the result of 15 years of effort to give you a refined formula that covers all the bases. They didn’t just leave out the nasty stuff. They carefully put together certified organic ingredients to give you the best organic face wash for acne. It has extracts and essential oils that will leave your skin feeling great. They also perfected the packaging and consistency so that a 4-ounce bottle gives you the equivalency of 8-ounce bottles offered by other companies. Gentle enough for everyday use yet still powerful and effective. 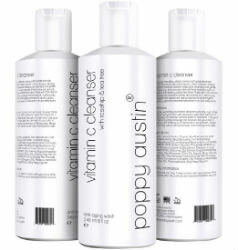 Reviewers love this product and find it has been helpful with even stubborn cystic acne. Cleaning your face is the ultimate goal of the best organic cleanser for acne prone skin but what if you could also get antioxidant protection? You can with this eight-fold antioxidant protection formula! With 15% Vitamin C herbal infusion, you get ultimate protection for your skin. Ideal for acne prone skin, it is also an anti-aging formula. Imagine reducing fine lines, wrinkles, age spots, and hyperpigmentation! Natural ingredients include organic rosehip oil, borage oil, orange peel tincture, oregano oil, and tea tree oil. Reviewers note the effectiveness was such that improvement was experienced right away. Honeyskin Organics’s belief is that the best organic acne face wash is one that matches your skin’s 5.5 PH to maintain its acid mantle. They developed this formula to do that without using any harmful chemicals and including aloe vera for soothing. This product is so gentle you can use it on babies! You can also use it on your entire body. The nice feature of this product is that it comes in various sizes, from four ounces all the way up to 64 ounces. The large size is ideal if you want to use it as a body wash or add some to your bath water. Because it is unscented, even men will love it. It has natural ingredients including organic food grade ingredients. A couple of its more unique ingredients are Manuka honey and Cehami. The medicinal honey is anti-fungal, anti-viral, and anti-bacterial. The Cehami is an Australian botanical that aids with distressed skin, including redness, itching, pain, inflammation, and sun damage. Reviewers report improvements with acne and rosacea. Need some extra help to clear up your acne? Check out our article on the best face mask for acne prone skin here! You likely won’t go wrong with any of these best organic face cleanser for acne products. Personal preferences regarding scent and specific ingredients can guide you to the one you will most enjoy. Whichever you go with you can trust that you are not worsening your acne condition with ingredients that are not helpful! Choose an organic face wash for acne prone skin to reveal clear, radiant skin without the use of toxic chemicals. You'll feel and see the difference natural products can make!